Wanting to do something and actually getting the motivation to get it done are very different things. You may have the longing to get your home sorted (more organised, rooms decorated etc…) but the key to actually getting up and doing it is to have the drive to get you started. 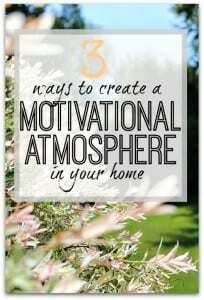 If you can create an atmosphere in your home that supports you, you will be more likely to start – and keep going. 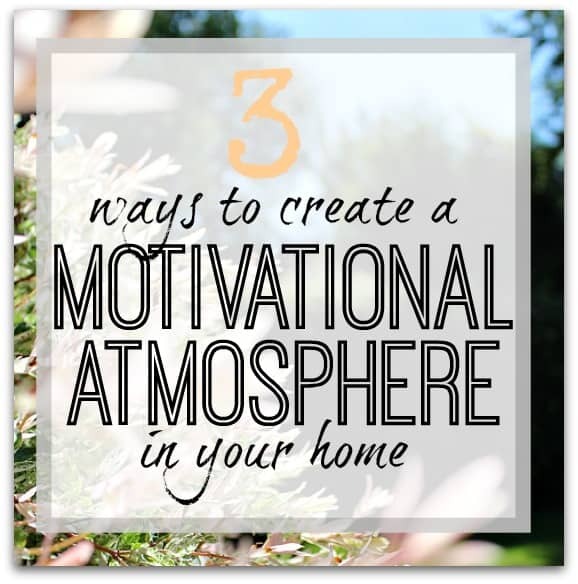 Here are the top 3 areas that you can focus on to create that all important motivational atmosphere in your home which will in turn help you on your way to success – whatever you want to get done! Looking after yourself and all those who live in your home will ensure that everyone is as physically fit and healthy as they can be and therefore more able to get things done. If you can get enough sleep, eat well and exercise – then you will be naturally have more energy and strength to do things around the house. If you are tired, eat badly and don’t exercise then you will feel more deflated and sluggish and it will be so much harder to gain any motivation for even daily tasks, let alone larger projects that you would ideally love to do. A positive mindset is absolutely crucial in ensuring you will be motivated for things you want to do. I love to look at the following things when I am feeling low or unmotivated, but find what works for you and gets you excited for what lies ahead. Get the family on board – I find that if the family are on board with what I am doing then I feel happier in myself about getting it done. If they are negative then that is reflected in how I start to feel as well. Think positive – I love to think of 5 good things each day that have happened. These can be small or big, but they have to be positive. This is a fantastic way of finishing your day when you are just about to go to sleep, and really does help create a positive mood. Just as your body and mind (and those of your family) can create a more positive atmosphere in a home – so too can your surroundings. Now, you may well be reading this because your home is in total need of decluttering and organising – and therefore are thinking that getting your home supporting how you feel in a positive way is impossible, and surely you need to have gained motivation to get things organised BEFORE organising starts. It’s sort of chicken and egg isn’t it – but there are ways to create more of a positive feel to your home very simply that could make all the difference. It’s all about keeping the focus on making your home a place you really want and love to be – however it may look/feel right now. From the list below, pick whichever you can manage given how your home is working for you at the moment – and have fun with it! Make it smell nice – Candles, flowers, air freshener etc… – all can make a huge difference to your mood and make you feel lighter and fresher. I wrote a really popular post about this HERE, so it’s obviously a hot topic! Add in items you love to look at – if your home is in chaos then try and have just one vase with lovely flowers in – make it count and place it somewhere that you get to see it as soon as you come into your door, or where you spend the most time. If you have more room to play with, then ensure that what you look at makes you feel happy as much as you can. Pictures / photos etc.. all take up little space and make a real difference. Ensure you have colours around the home that you love and that energise you – whether it be a cushion or the colour of a room – your home should reflect you as much as possible. Creating a home that you can feel relaxed and happy in, ensuring you are as healthy as possible, and creating a positive mindset will all help you to feel really motivated when you spend any time there. That motivation will enable you to get more of the things you want to get done, done, and that will feel amazing! I know that getting motivated isn’t always easy – and that homes can drain us with day to day “stuff” everywhere – but it’s time to take back control and feel happier – one step at a time. Wherever you and your home currently are, take a few steps today to tackle something from each of these 3 areas, and I promise you you will feel more motivated before very long. Previous Post: « National Organising Week – and a challenge for you!